Today’s Think Kit prompt: Handwrite a _______. A tweet. A letter to a friend. Your signature font. What’s it look like? Take a picture of it! I like to think that I’m a pretty loyal person, whether it’s to my friends, family, job, extracurricular activities, pets or so on. I would do anything for the people I care about. 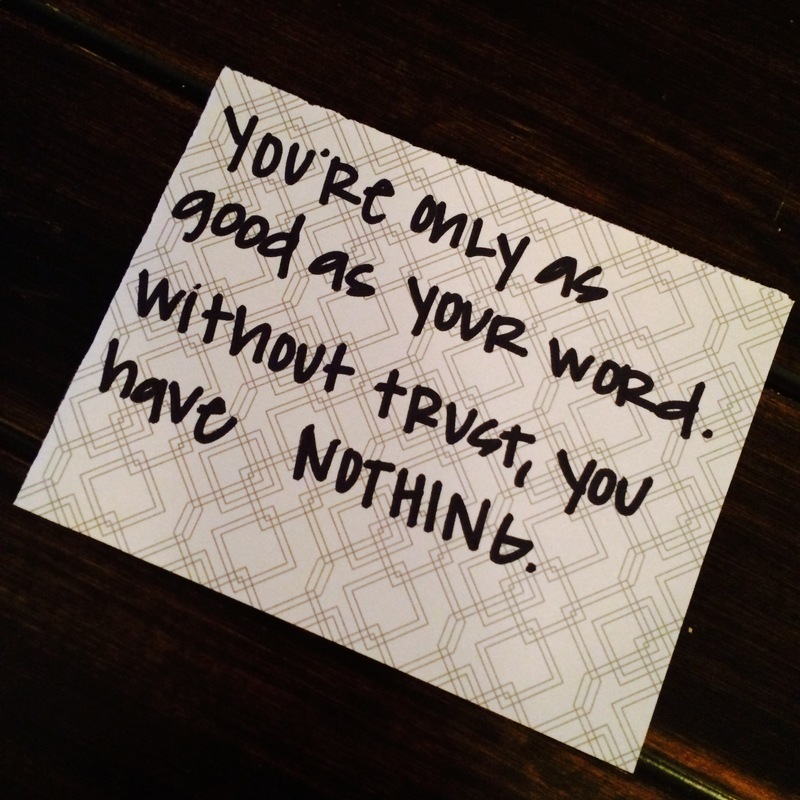 You’ve probably heard the phrase “you’re only as good as your word, and your word is only as good as your actions.” I’ve been struggling a bit with trusting people lately due to their actions and it makes me wonder what happened to loyalty and integrity. If you make a mistake, own up to it. Everyone makes mistakes and life goes on. If plans change or something comes up, just let the other person know instead of leaving them in the dark. If you can’t follow through with something, don’t promise it. I would like to be able to trust everyone until they give me a reason to not trust them any longer, but it’s becoming harder and harder to do that with the constant disappointments. It’s hard to be a loyal person and want to care when people constantly give you reasons to not want to anymore. I know it’s best to try to see the good in people, and I do have plenty of great people surrounding me in my life. But I have definitely learned in the past few weeks that some people you need to keep at an arm’s length. Tags: honesty, integrity, thinkkit, trust. Bookmark the permalink.